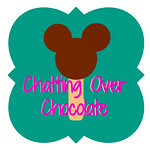 Chatting Over Chocolate: Memorial Day Pinspiration! Hello, friends! Who's ready for an extended holiday weekend?! 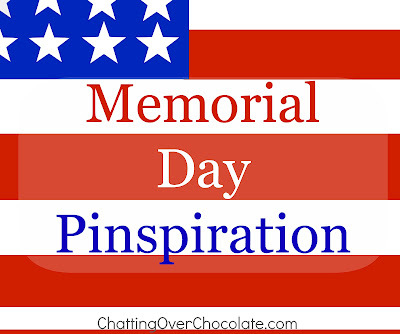 If you'll be firing up the grill and sizzling your way to the unofficial start of Summer, or sitting around a campfire gazing at the stars, these pins will make you even more eager for the Memorial weekend fun that awaits you! Patriotism a plenty, grilling goodness, and camping fun coming right up! Whether you spend your holiday weekend camping, grilling out, or clicking away on Pinterest, I hope you enjoy every last bit of it! 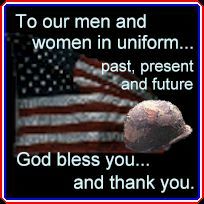 Happy Memorial Day and God Bless America! Cute ideas here! What I love about Memorial Day is that pools open! Yay! Memorial day is one of my favorites, I am already planning out the table decorations and red, white & blue foods! Have a great three day weekend coming up!! Oh my, you've got me wanting to be domestic and actually cooking or decorating or some such! Seriously, these are some of the cutest ideas I've ever seen... love those camping cookies and the grill cupcakes. That punch is so cute! And the little camper cookies... how fun! Such a fun roundup! Thanks for sharing.